Students in the dietetics program need to critically apply medical nutrition therapy to patients with one or more disease conditions. This applied learning can be difficult to present in a classroom setting. 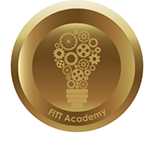 It is the intent of this project to provide all dietetics students (didactic and dietitian education), in the medical nutrition therapy I course, with critical thinking examples on application of nutrition therapy. Develop/Identify two clinical case studies, incorporating information and concepts learned in the course (one or two topics), that could provide summative evaluation that eliminates the issue of students finding answers online. Identify an interactive software (ie. TurningPoint Technologies, Poll Everywhere ($) for self-assessment in a classroom setting where students would apply learned medical nutrition therapy concepts in a setting outside of supervised practice.